Whether you're a laundry expert or new to the whole doing-laundry-without-your-mom thing, you'll still need some basic laundry supplies for college. Aside from soap and some quarters, be sure to pack a laundry hamper for college. 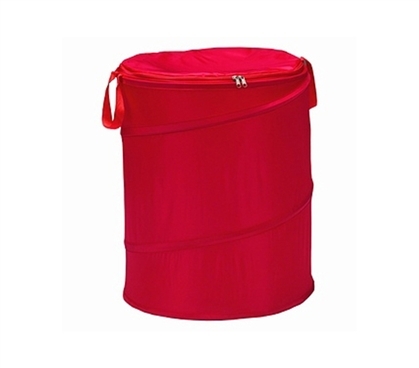 But don't just grab the first cheap hamper you see; add this Red Bongo - Durable Dorm Laundry Hamper to your shopping cart. This hamper for college students is sizable enough to hold all those dirty clothes. You'll need this larger hamper if you plan to avoid doing your wash ever week. Still, don't think you'll be able to all semester without washing those dirty clothes! That's how bad smells in dorms happen. This sturdy dorm laundry hamper can compress when you need to store it. Since this hamper for college should be with you beyond a couple semesters, this space-saving feature is very handy. Equally useful are the handles for when your laundry load gets heavy. Believe it or not, some basic hampers lack handles! Many also lack lids, which this college item does not. The lid is great for keeping in any wafting odors when last month's dirty socks start to really get old. It also adds some privacy. You and your roommate would rather not look at your dirty laundry all day, we can assure you.